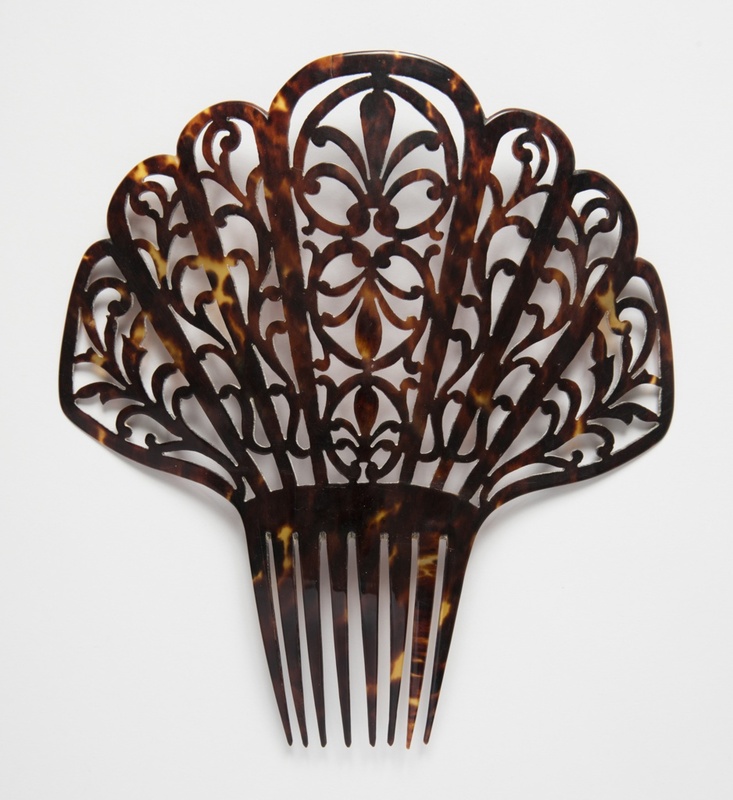 This is a Peineta (Comb). We acquired it in 2018. Its medium is tortoiseshell. This object was donated by Monty Freeman.